Similar to residential roofing, we offer commercial roofing to those companies that want our quality roofing solutions added to their commercial properties. Developed on a larger scale, we install unique roofing models to commercial properties that are both durable and function for the larger architecture. Before allowing any contractor to work on your roof, you should always consult with their license ahead of time to ensure that they are certified to perform such activities. When conducting any types of roofing services, we always make sure to show our license to our clients so they know that we’re properly trained to perform such tasks. We believe that doing so helps legitimize our work and that clients know they’re not getting an ordinary standard of service. We’ve been licensed for years and continue to update our license when needed to ensure that we’re always up-to-date on local regulations and code safety. Along with being licensed to perform our work, we’re also committed to providing you with the highest level of professionalism available. In doing so, we’re able to grant you a commercial roof that functions adequately for the large number of guests and visitors that you’ll be expecting. This is an important factor of our work, as we strive to make even large-scale properties safe for the higher number of foot traffic that is likely. With our professional roofing services, you’ll be guaranteed a commercial roof that properly retains the complexity of the building’s architecture as well as its infrastructure integrity. When a project is completed, your commercial property is given a warranty to ensure that no damage occurs to the roof due to error on our behalf. With all of our work that we perform, especially on commercial properties, we always stick to federal and local regulations and in accordance health and safety codes. We understand the importance of these building codes and regulations and follow them appropriately to ensure the roof we’ve installed is legal and safe. We also test and set notices for the code standard that our roofs have met, and welcome the inspection of third parties to officiate that standard. We’re dedicated to our clients and their safety, and work diligently to provide a commercial roof that meets those needs. Some of the regulations included in the ethical and code standards can include fire and water safety, along with building way for a fire exit and sealing the roofing materials with fire-retardant agents. As well as using building regulations to build, install, or repair commercial roofs, we also do our best to optimize the space available. This includes using engineered designs and techniques that make the roof more sustainable and functional. By optimizing the roof space available and the tools or existing materials, we’re able to help create a commercial roof that is both durable and efficient. 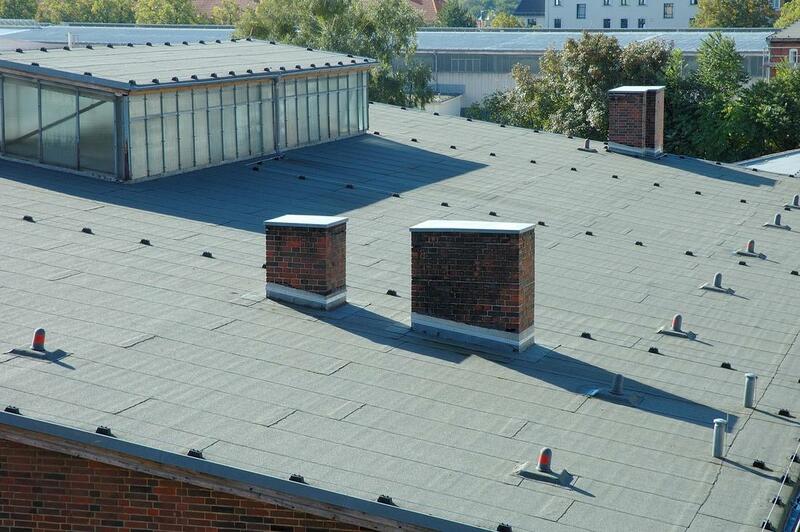 Optimizing space can be tricky, but with the right tools and resources, we’re able to turn around any commercial roof.